E. CONVERSE PEIRCE II, M.D. ; VIRGIL B. POLLEY, M.D. ; Robert L. Bowman, M.D. 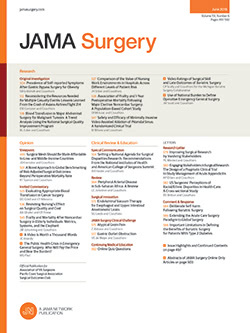 A SOUND technique for intracardiac surgery requires direct-vision access to the entire interior of the heart for prolonged periods plus adequate protection for the brain and other vital organs during cardiac isolation or failure. This cannot easily be provided at normal temperatures because of the technical difficulties presently inherent in large capacity extracorporeal pump-oxygenators. The protective action of reduced metabolism provided by hypothermia is but a partial solution to the problem.1 Combined with a low capacity pump-oxygenator, however, hypothermia provides safety during lengthy cardiac isolation or failure. Direct cooling or warming of the blood is much simpler than external heat exchange, and in addition provides a saving in time and total caloric transfer, the heart and presumably other vital organs being cooled much more rapidly than the animal as a whole.